After finally rolling out on the official music streaming app for the Gear S2 and Gear S3 earlier this year, Spotify and Samsung is adding an offline playback mode letting you save playlists to the Frontier and Classic smartwatches as well as the older Gear S2. This is big news for a couple of reasons. 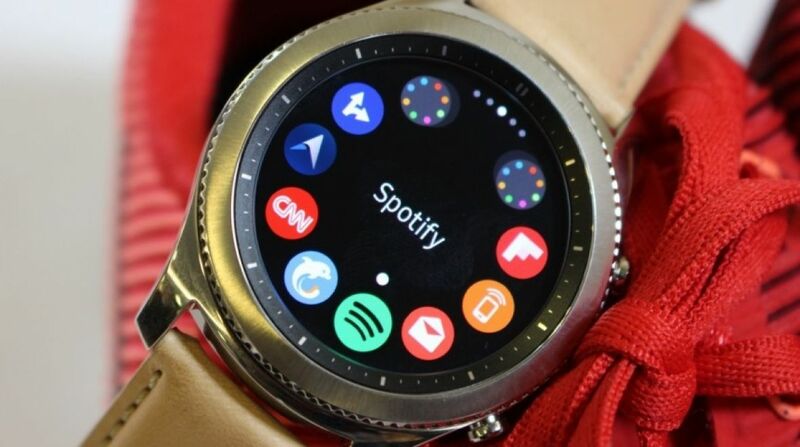 The first is that this will be the first smartwatch to offer a feature that makes the mobile app version so great and secondly it now means using Samsung's own music app to transfer music to the Gear S3 is no longer your only option. All has been revealed on Samsung's website in Sweden, the "Listen Offline" service will now let you play music downloaded to the app without an internet connection. You can then listen through the Gear S3's built-in speaker, by pairing some Bluetooth headphones or even connect it to a wireless Bluetooth speaker. The current version of the app lets you control music playback, browse through charts, search artists and scroll through your playlists. You can also stream music over Wi-Fi or a data connection if you have an LTE-enabled Gear S3. The global beta version of the new Listen Offline mode is rolling out now Android phone support first with iOS support on the way. After a day's wait we've finally been able to check it out and it works as promised. Once you've downloaded the latest version of the app from the Gear app store, you should then be able to go into one of your playlists and you should now see an option to download. App support for Samsung's Tizen-running smartwatches has been pretty slow going as the Korean company struggles to match what Apple and Google's storefronts have to offer. High profile apps from the likes of BMW and Nest, which uses the rotating bezel to control the smart thermostat, have only recently launched despite being unveiled alongside the Gear S3 when it arrived last year. So the news that the Gear S3 will be the first to benefit from a feature that Apple Watch and Android Wear watch owners surely crave is a small app victory for Tizen and Samsung.